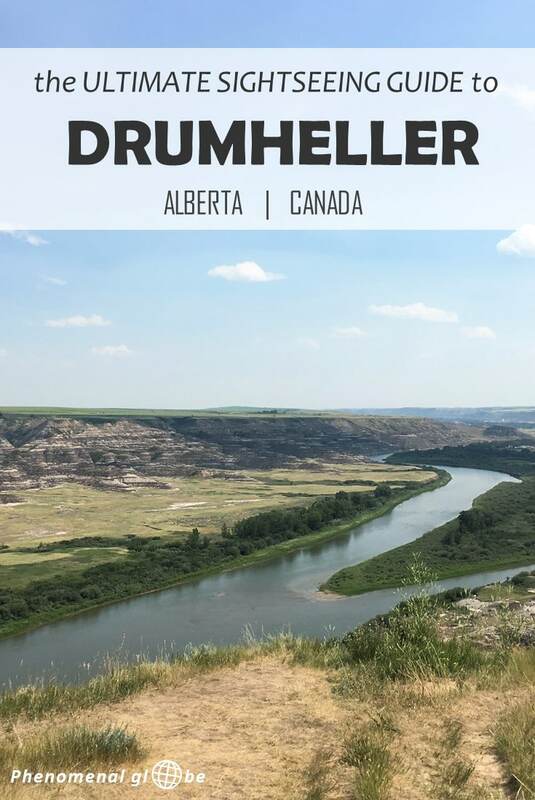 Have you heard of Drumheller? To be honest, I had not before visiting this spectacular area in Alberta. The Canadian Rockies tend to get all the attention (granted, they are magnificient), but I really like Drumheller as well. We had never seen Badlands before and Drumheller is Badlands XXL. The rock formations are absolutely amazing, plus, it’s nowhere near as busy as the Rocky Mountains. 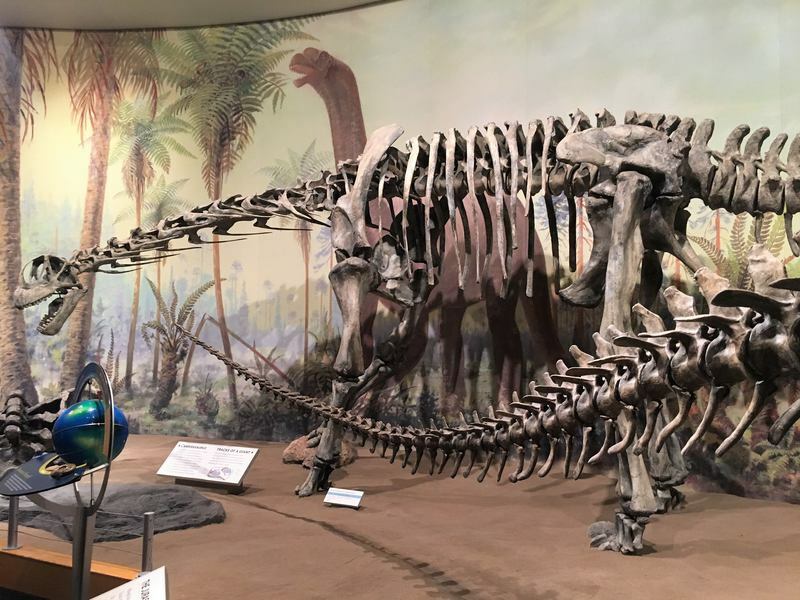 What’s more, Drumheller is famous for all the dinosaur bones that have been found in the area (it’s called the dinosaur capital of the world!). The Royal Tyrrell Museum in Drumheller is one of the most important paleontology museums on the planet. But I’m getting ahead of myself, let’s start at the beginning. 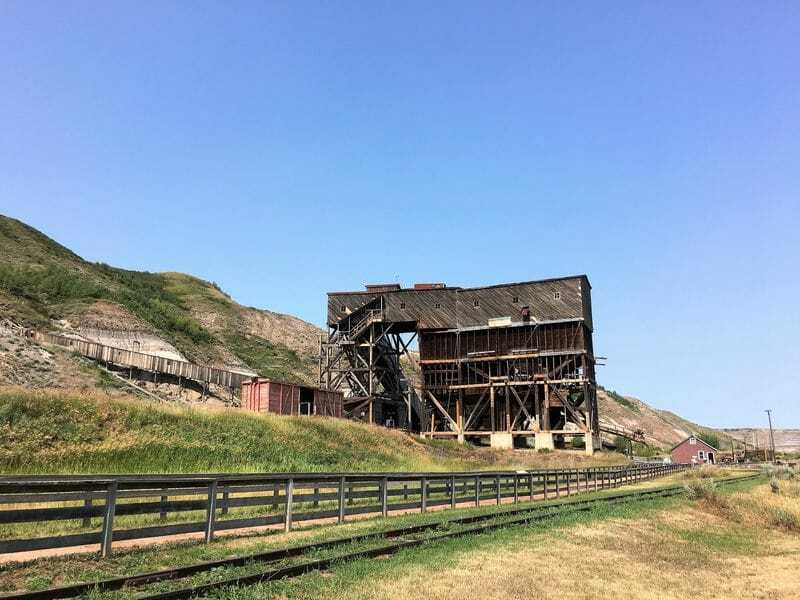 We spent a couple of days in the Drumheller area, but if you are short on time you can manage to see everything on this list on a day trip from Calgary (provided you get an early start). However, I highly recommend to spend at least 2 days in Drumheller. 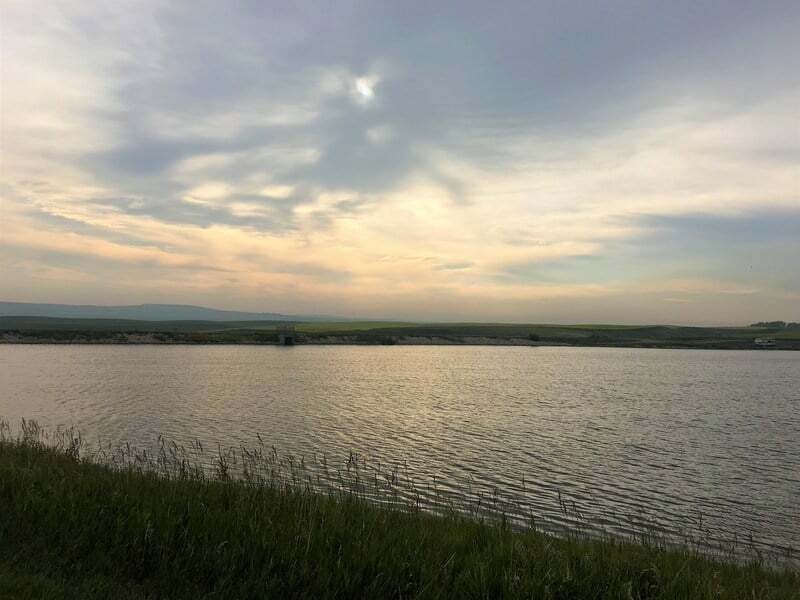 Where to find free campsites near Drumheller? 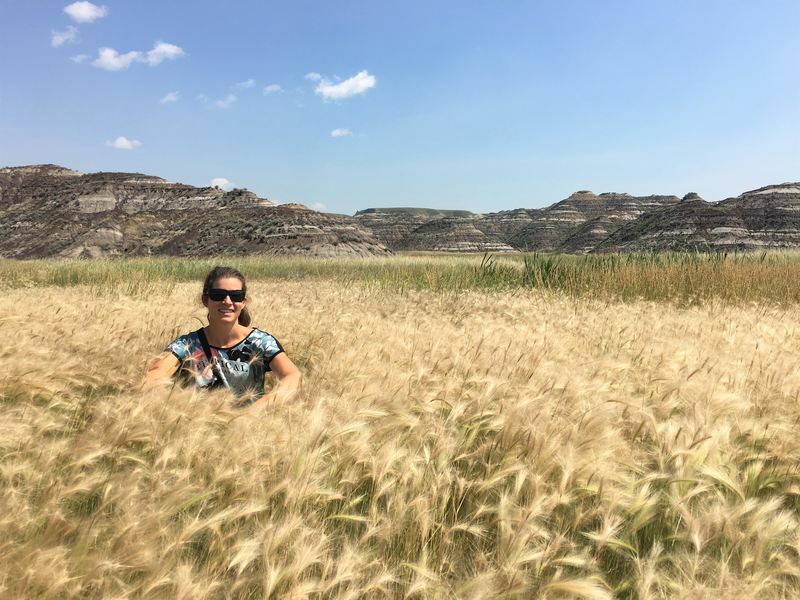 How to get to Drumheller? A (printable) map with all the places mentioned in the post. I already mentioned Drumheller is a great place to explore because of the beautiful Badlands landscape. One of the best places to see the Badlands is at the Horseshoe Canyon, which was shaped by a glacier. There is a trail leading into the Canyon, but unfortunately that was closed during the time of our visit (July 2017). Visiting Horseshoe Canyon is free. 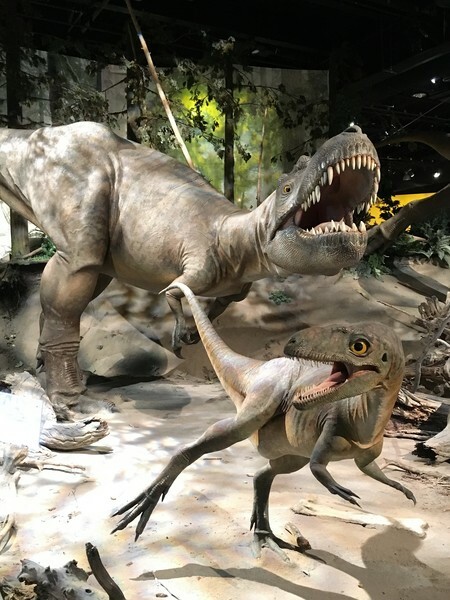 Besides the Badlands, Drumheller is Dinosaur galore, thousands and thousands of bones have been found in the region and dinosaur statues are everywhere. The biggest and baddest of them all is the 25 meter tall T-Rex located in Drumheller Center. 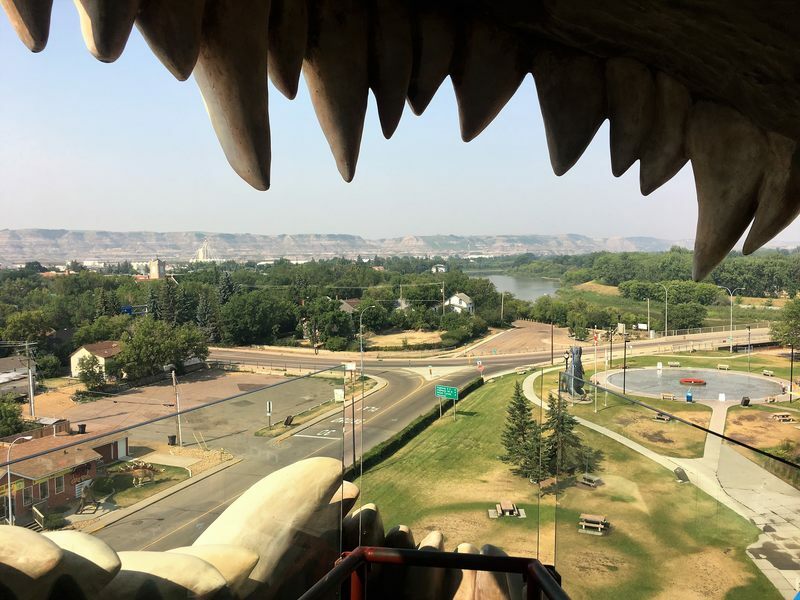 You can climb to the top of the dino and look through it’s teeth for a great view. The entrance fee for the World’s Largest Dinosaur is $4 CAD per person. The entrance fee for the Royal Tyrell Museum is $18 CAD per adult ($10 CAD for children between 7-17). This little Church (okay, tiny church) is seating 10,000 people (6 at a time). It’s a very cute building, however, it’s not just a tourist attraction. The Little Church was designed as a place of worship and mediation and is also used as such. 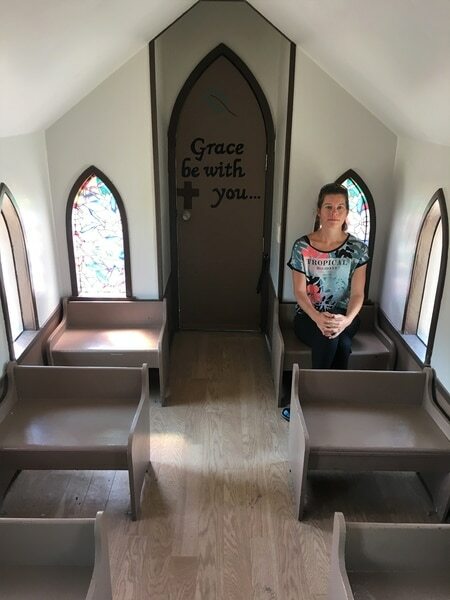 Visiting the Little Church is free. 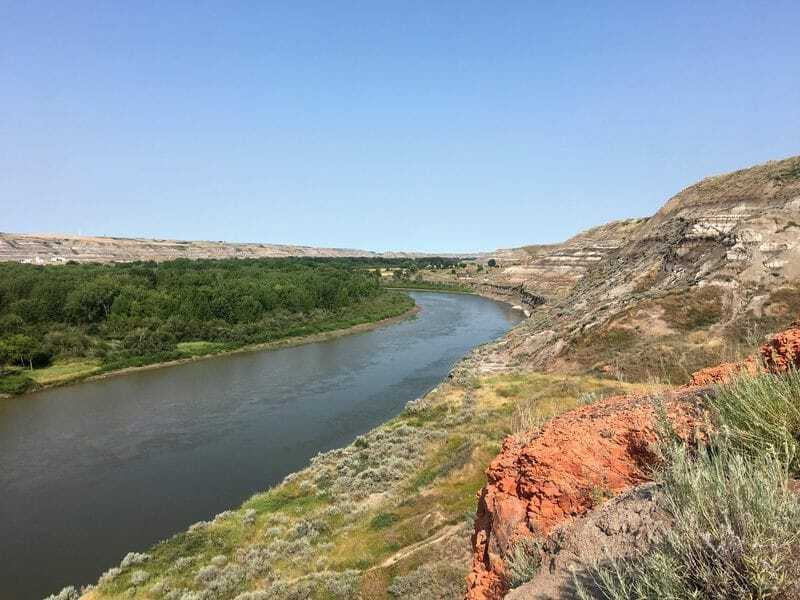 There are several juicy tales about the Horsethief Canyon. One story is that back in the days of the big ranches, horses wandered into the canyon with a certain branding symbol but walked out with another and therefore ‘suddenly’ had a different owner. Another story is that horses being smuggled between the U.S.A. and Canada were hidden in this canyon. Nobody knows for sure which myth is true.. In any case, it’s a beautiful canyon and we made a short hike down to the river, winding through the grasslands along the Badlands. 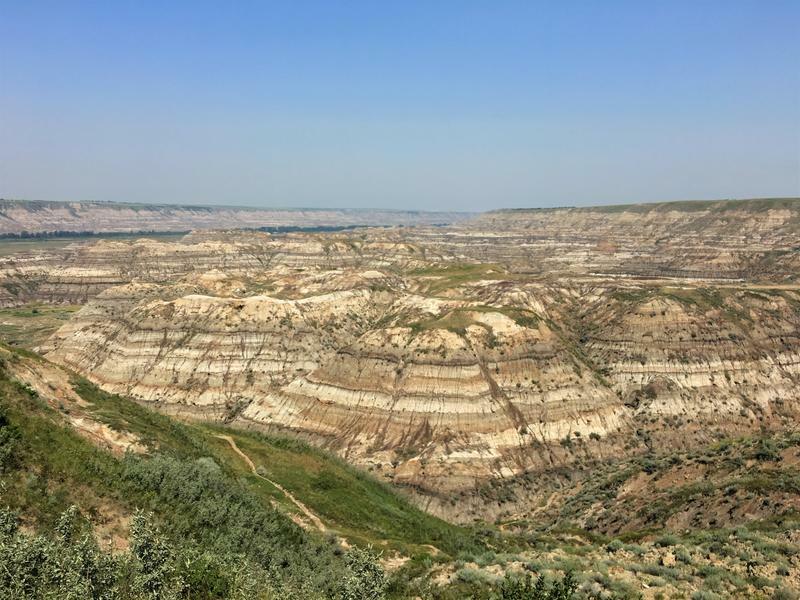 Visiting Horsethief Canyon is free. 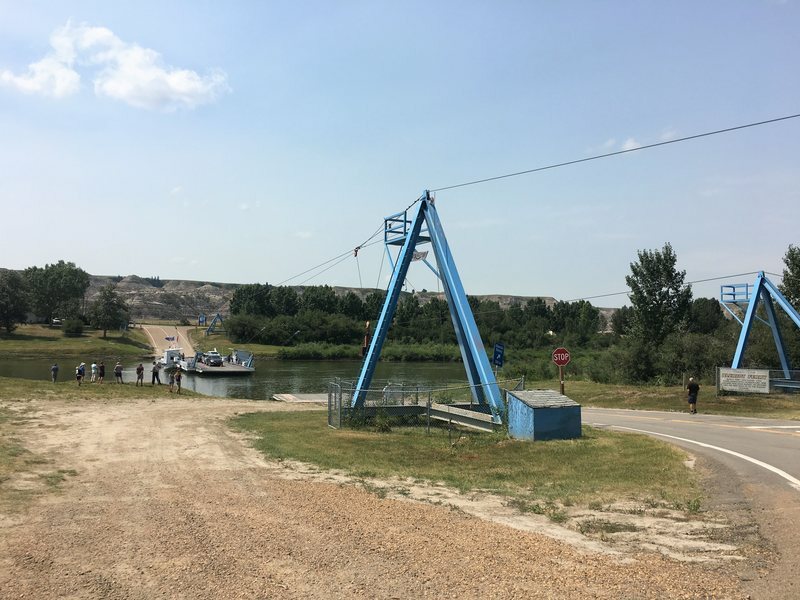 The Bleriot Ferry is a small ferry (13 cars max) across the Red River. This 105 meter and 8 minute ride may be short, but keep in mind this ferry has been in service since 1913 and is one of the last cable-operated ferries in Canada! The Bleriot Ferry is free. For more information check the Transportation Alberta website. 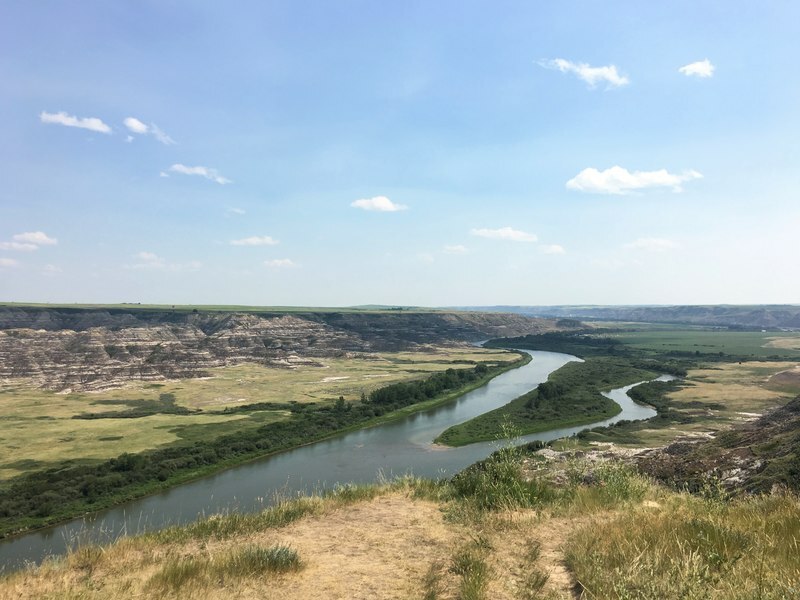 I know you’ve already seen the Badlands at Horseshoe Canyon and Horsethief Canyon, but at Orkney viewpoint you can see Badlands AND the Red Deer River! I can’t help myself, I’m just a sucker for beautiful views;-). 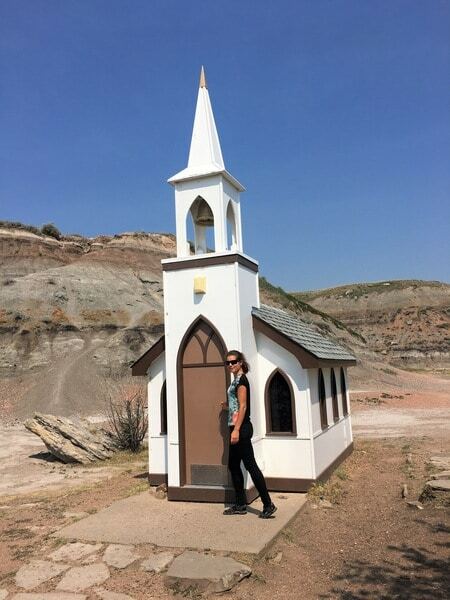 The Little Church, Horsethief Canyon, Bleriot Ferry and Orkney Viewpoint are located along the North & South Dinosaur Trail (Hwy 838 and Hwy 575). 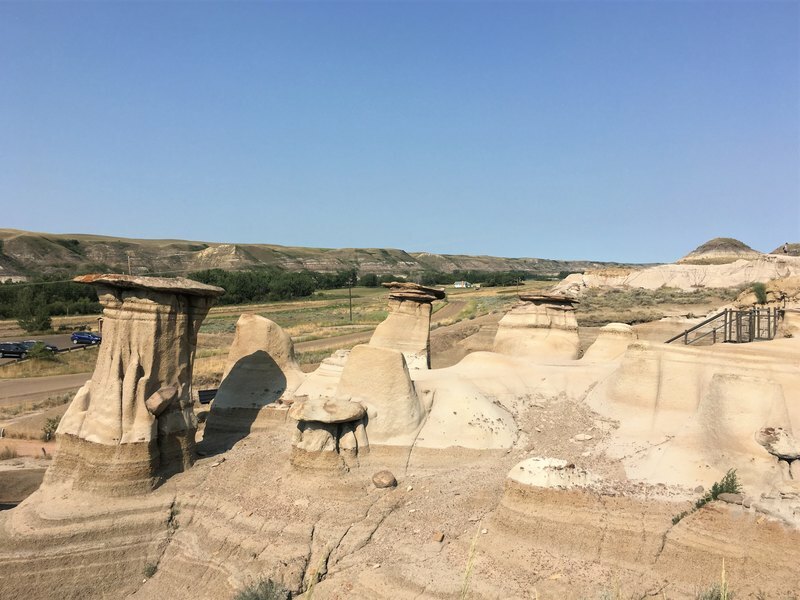 A nice detour on the Hoodoo trail is Wayne, on the 6km drive to the ghost town you’ll cross 11 one-lane bridges over the Rosebud River. Wayne is a typical old (and pretty much deserted) coal-mining town, back in the mining days its population was over 3000. 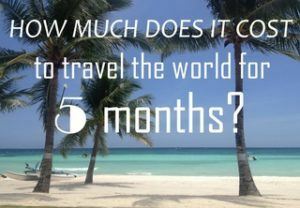 The current population is 28 people, the town has a pub (called the Last Chance Saloon), a campground and not much else. I’ll admit that after the description in Lonely Planet (not a bridge not for the faint of heart!) my expectations may have been a little too high. 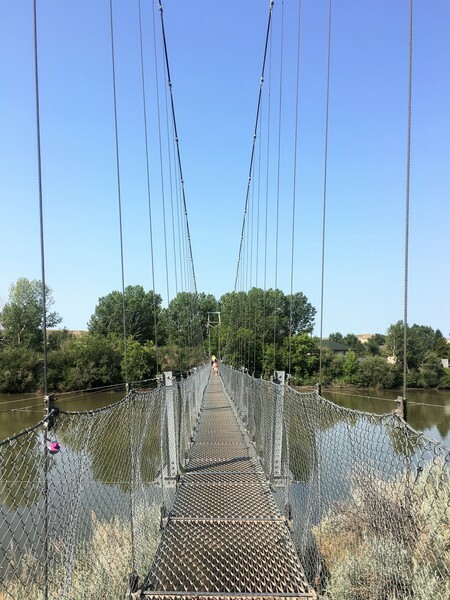 Or perhaps my overdose of suspension bridges during our EBC trek in Nepal has made me immune to my fear of heights, but I didn’t find the Rosedale Suspension Bridge very scary. 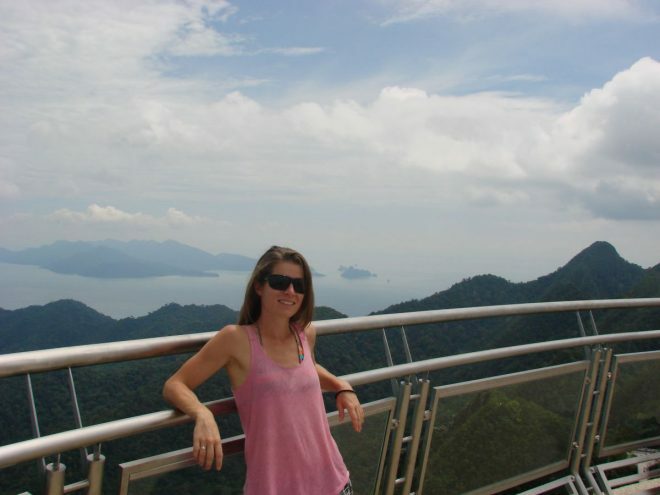 Nevertheless, it’s a fun stop and the view the from the hilltop across the river is beautiful! Visiting the Star Mine Suspension Bridge is free. Visiting the Hoodoos is free. 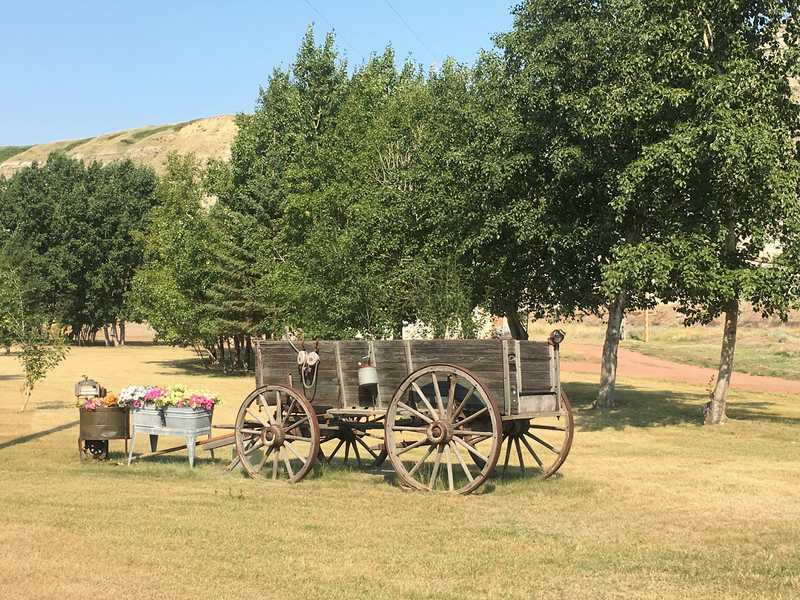 East Coulee is another ‘ghost’ town, though there are still living around 160 people today. However, back in the 1940’s its population numbered 3800 and the school in East Coulee was very important to the region. The children of the miners working in the Atlas and Empire coal mines went to school here, but when the mines closed down, so did the school. However, in 1985 the school reopened as a museum, in the museum you can find interesting displays about the lives of the people who lived in this little miners town. You can find more information about the museum on their website. 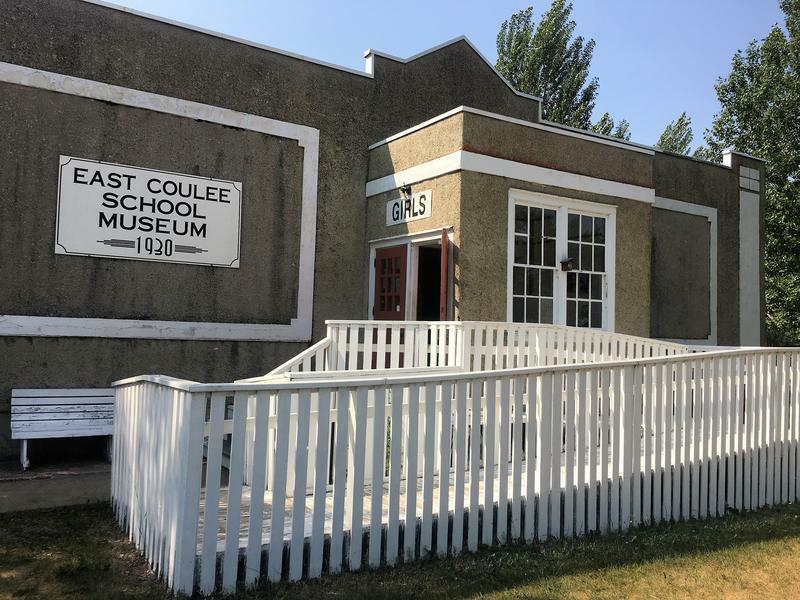 The entrance fee for the East Coulee School Museum is $7 CAD per person. 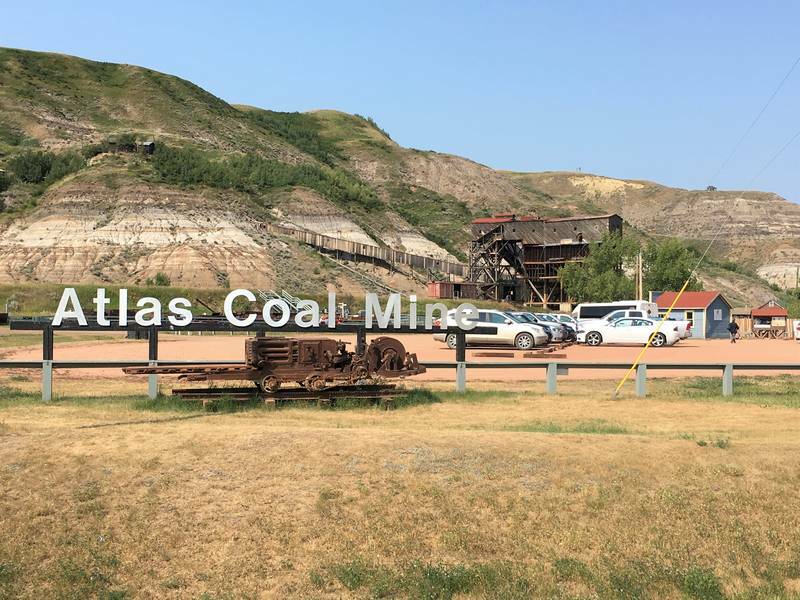 There are several passes available for the Atlas coal mine, admission prices and details about the tours can be found here. 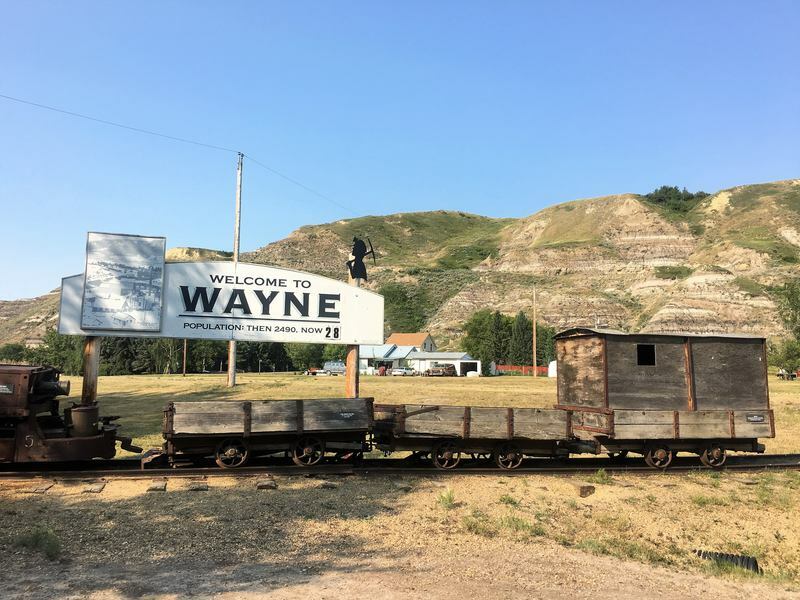 Wayne village, the Star Mine Suspension Bridge, the Hoodoos, the East Coulee School Museum and the Atlas coal mine are located along the Hoodoo trail (Hwy 56 and Hwy 10). Besides all the highlights mentioned above, I included a couple of practical places on the map as well. Drumheller Visitor Information Centre: a great spot to start your Drumheller trip and get some information (and a paper map) about the area from the experts. Plus, the visitor center is next to the giant Dinosaur so you’ll probably go there anyway. Another great resource to prepare for your trip to Drumheller is the official Visit Drumheller website. Badlands Community Facility: we spent some time in the library (free WiFi!) and paid 2CAD per person (including towels!) to take a shower in the recreation center . Tim Hortons: we got addicted to Tim Hortons during our Canada road trip. The coffee is great, there is WiFi and the sandwiches/wraps are tasty too. Also, it’s much cheaper than Starbucks and classic Canadian! Extra Foods: because the Walmart in Drumheller doesn’t sell any vegetables we went to Extra Foods instead. Cheap supermarket selling everything you need! 3. 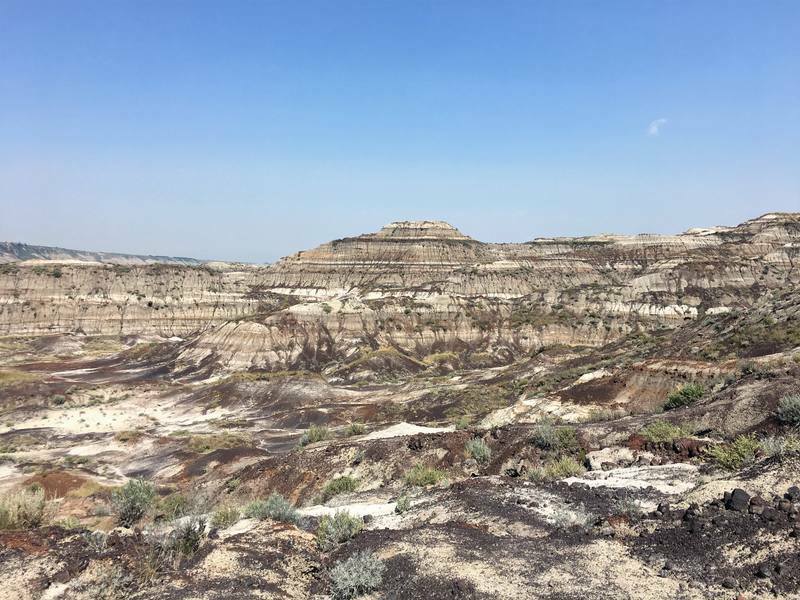 Where to find free campsites near Drumheller? • Walmart: the upside about staying at a Walmart is you can use the bathroom during store hours. Convenient to brush your teeth, refill your water bottles with potable water and empty your bladder. 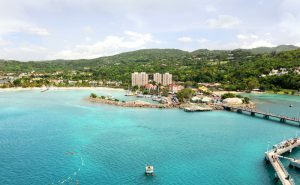 Plus, you can do some shopping while you’re there. The downside is Walmart parking lots aren’t the most scenic places to stay. 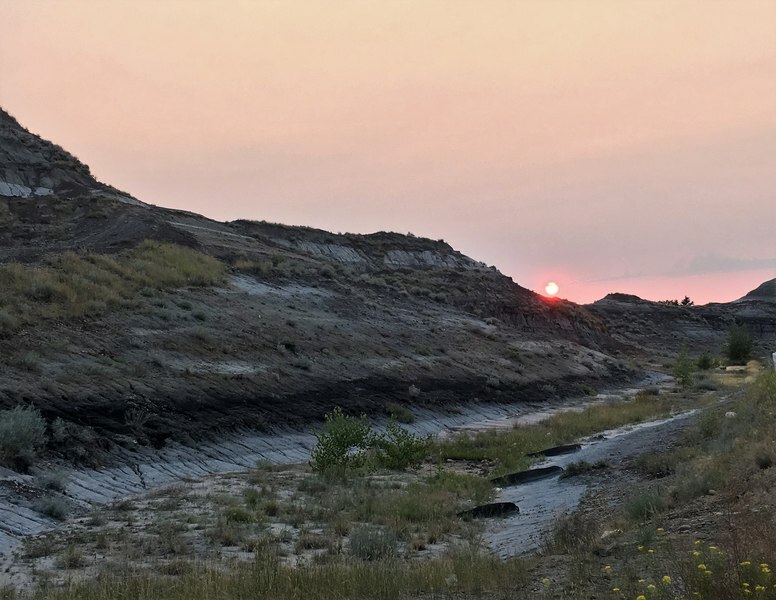 Though the one in Drumheller is actually rather nice, there are Badlands adjacent to the parking lot and we saw a beautiful sunset during our stay. • Severn Dam Reservoir: on our way up to Drumheller (from Calgary) we took a little detour and ended up staying at this nice little spot. There is a pit toilet and a dumpster, but nothing else. It is very quiet though and the views over the reservoir are lovely. Both sites are free! If you prefer staying on a camp group, check out the Travel Drumheller site for more information. For hotels in the area check Agoda or Booking, there are a couple of places listed on Airbnb as well. 4. 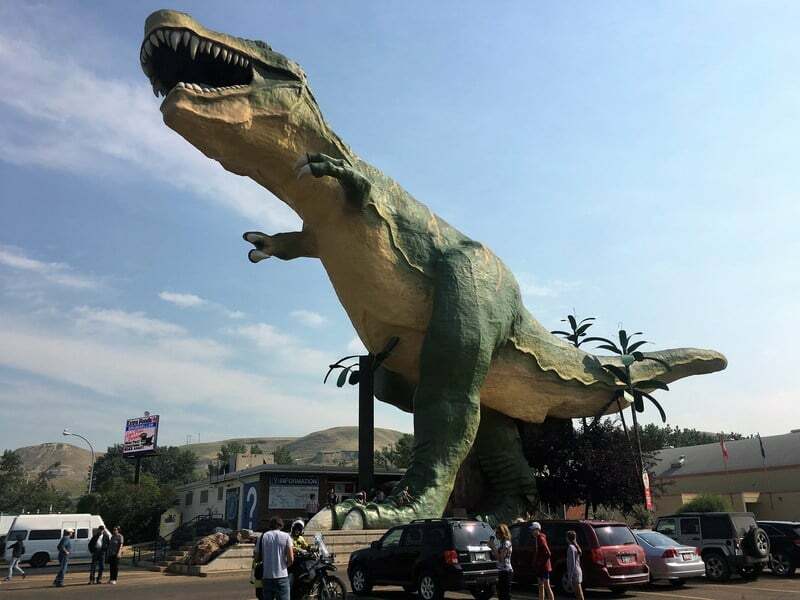 How to get to Drumheller? Though you can get to Drumheller by Greyhound bus, I highly recommend to get your own transportation. 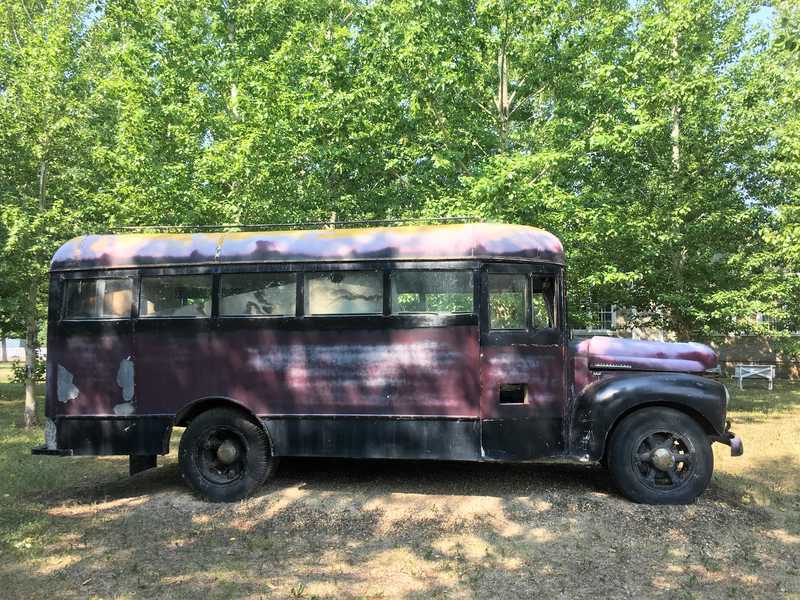 Rent a car or a or campervan (or buy one if you are on a long-term road trip around Canada) because most sites mentioned above are outside of the town itself. By car Drumheller is only a 90 minute drive from Calgary. Below you can download a pdf with all the sites mentioned in this post. 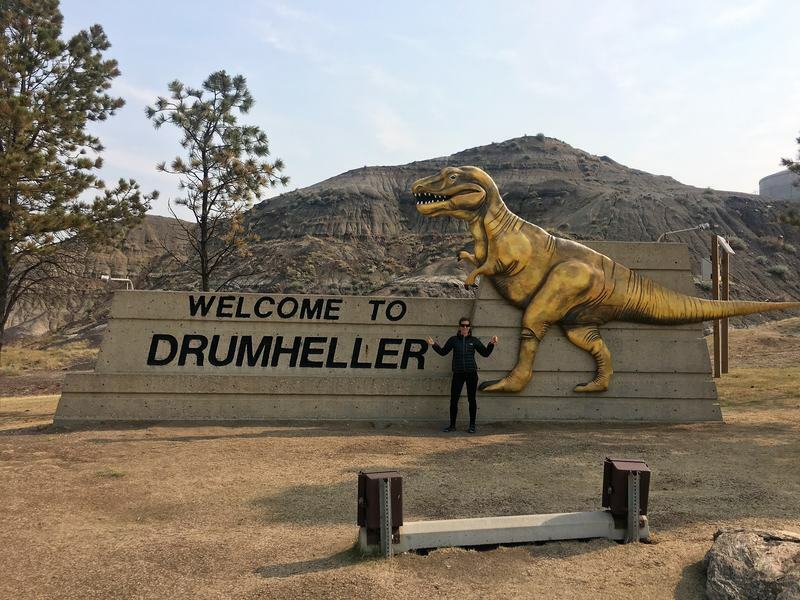 I hope you enjoyed reading about Drumheller itinerary! For us it was a really nice area because we had never seen badlands before. Plus, who doesn’t like some dinosaurs action from time to time;-). 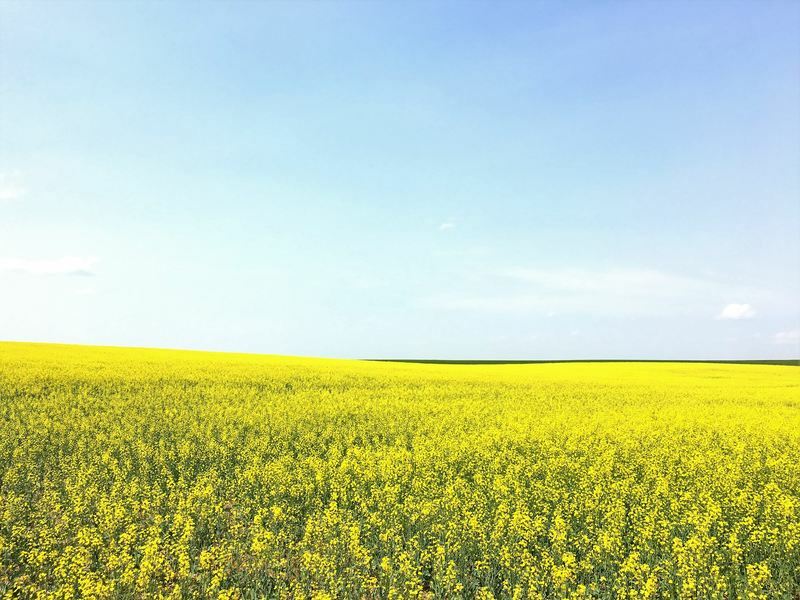 Do you want to read more about our Canada road trip? Check out my other posts here. 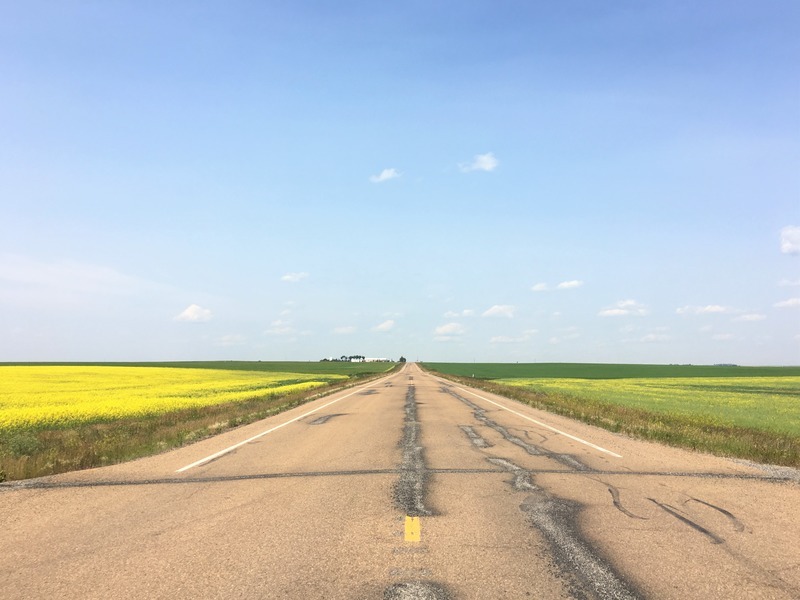 Also check out this 6 week cross-Canada road trip itinerary! Excellent! The sheer size of Canada still amazes me – as a pilot I quite often fly over Canada and marvel at its size and beauty from above. Haha even in a plane it takes quite a while to fly over Canada;-). But it must be quite a sight… So many mountains (and snow in the winter!). Would love to see that from the cockpit!! !